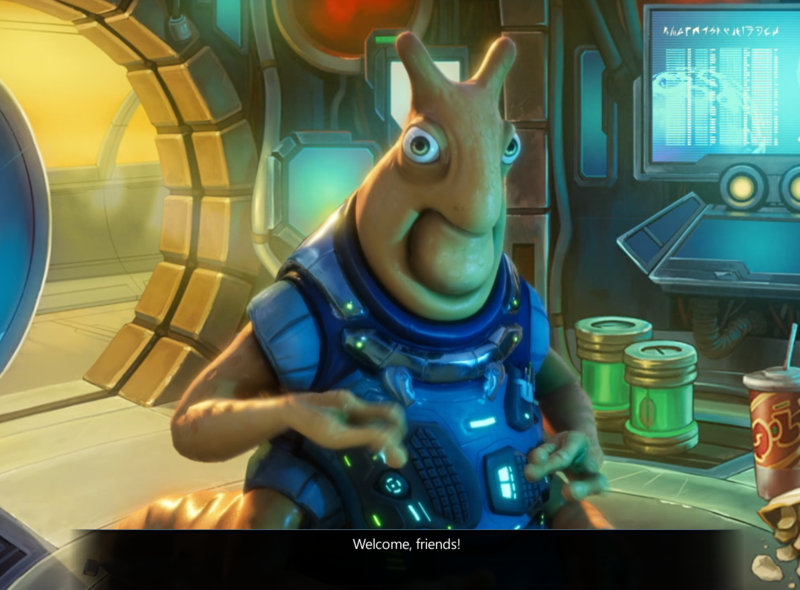 We are very lucky that these space slugs like us. They are also very generous with their tech. 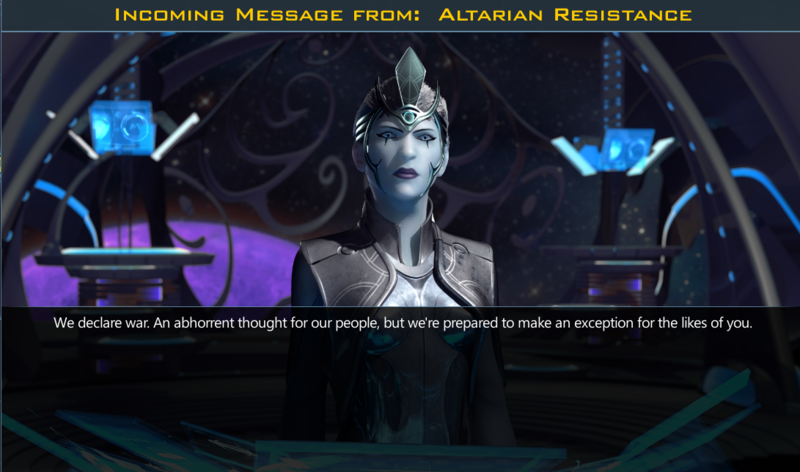 The Altarians want to bring their ideology to the universe. It happens to be an ideology we don't share, and they have not been shy about using their military might to crush others in order to do it. 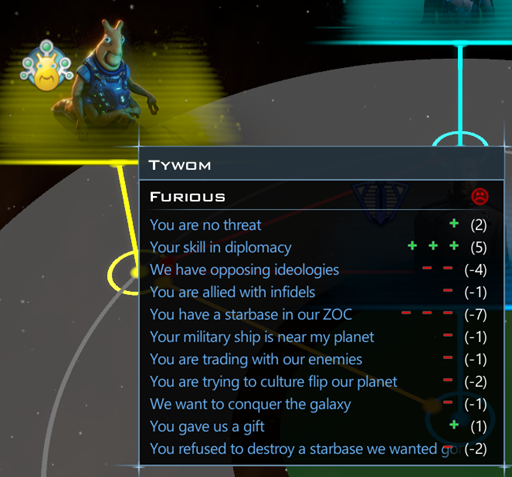 That war between the Altarians and the humans only ended because the Tywom intervened on behalf of their BEST FRIENDS (which happens to be us). Without them, we were hopelessly outmatched. What made the humans even relevant at this time was the fact that the dying Onyx Confederacy brokered an armistice with the Altarians that resulted in their worlds being transferred to the humans. Unfortunately, Onyx Prime is thousands of light years from Earth. However, thanks to Hypergates, this is not a problem. The only real problem was that this area of space was largely unknown to humans. Luckily, the Dimensional Mirror artifact on Onyx Prime provided its own solution. It was ready to be used to uncover areas of space. 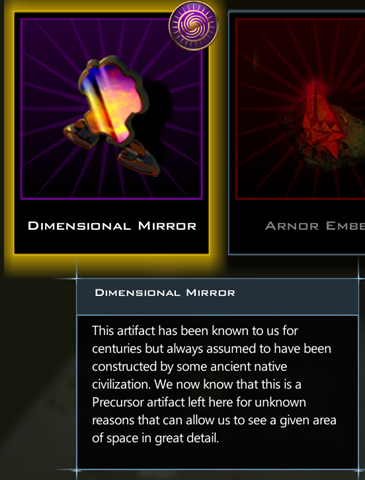 3 charges of the artifact had already been produced. It was now ready for use. Using the artifact was easy. The humans simply picked the area of space they wanted to see. In this case, star systems that were unknown. 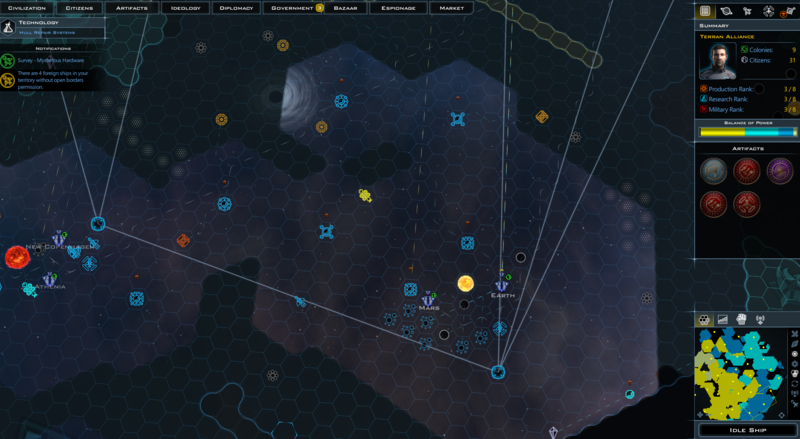 In particular, star systems thought to be within the Altarian sphere of influence. 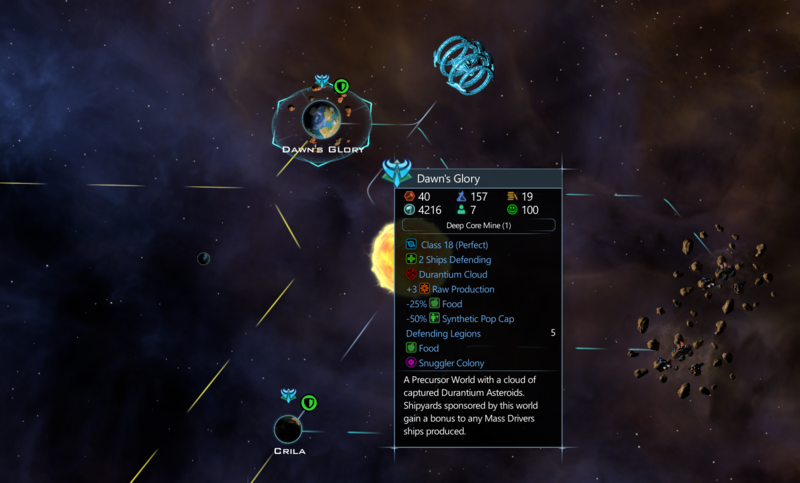 With multiple charges on the artifact, it didn't take long to find the true heart of the Altarian Empire: Dawn's Glory. An amazing world that produced an astounding amount of research. 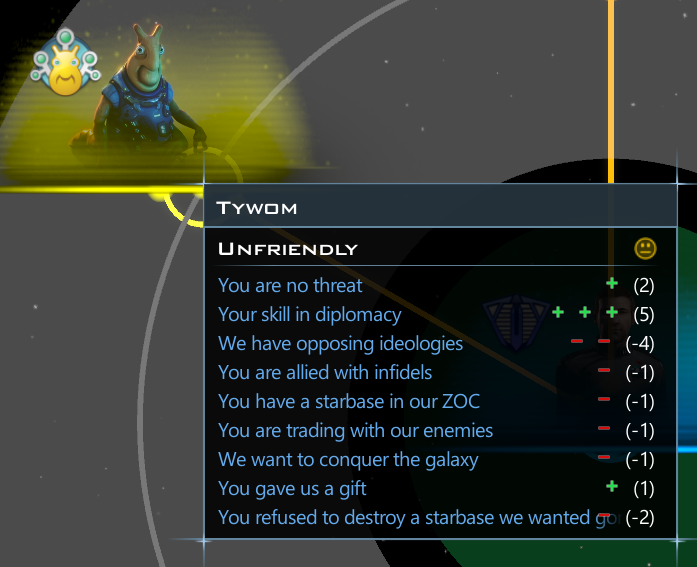 Deep within the Altarian space, it was only lightly defended. 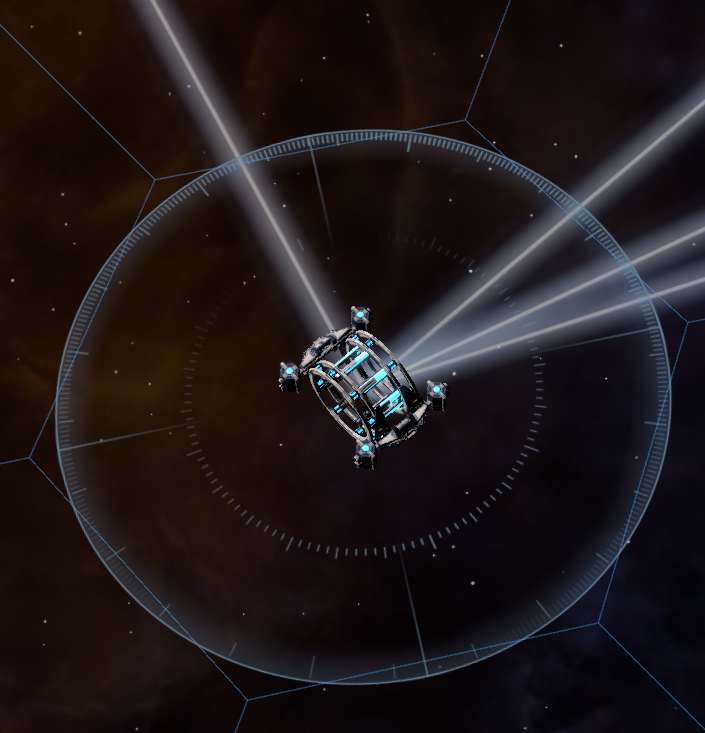 In the next war, this would be humanity's focal point of attack. A stellar architect skims the border to build a secret Hypergate near the Altarians' core worlds. 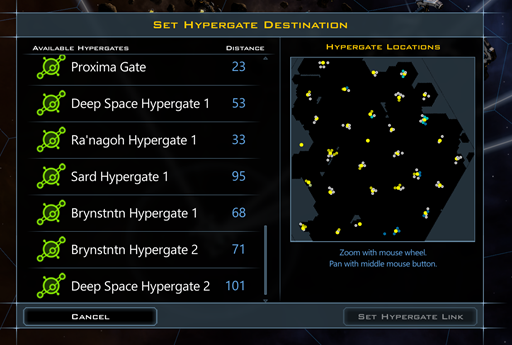 Earth's Hypergate now had 4 lanes connecting to it (there's no limit). The furthest hypergate was over 101 parsecs to travel to. While the base speed-up is 2X, new technologies were on the horizon that would increase the speed up to 3X, and later 4X. On a ship with a normal travel speed of 4 parsecs per turn, it would shorten the travel time from 25 turns to only 6! The Tywom are kind and gentle but they are not pushovers. The humans, in 2245 made a dangerous mistake. 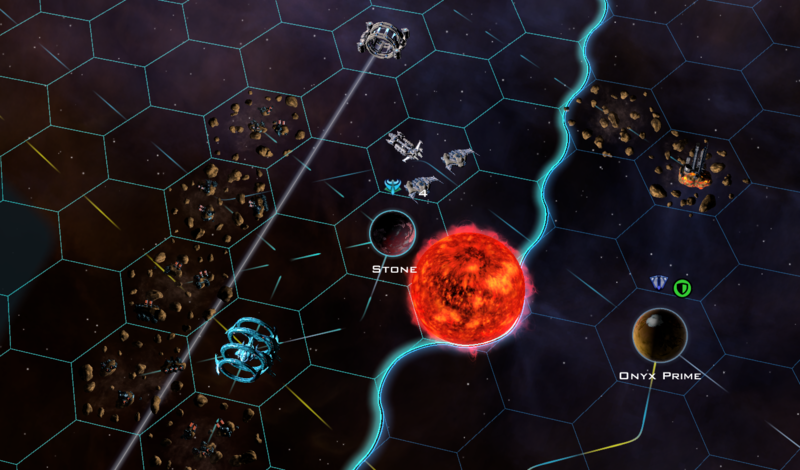 They had inherited a starbase from the Onyx that had long been a bone of contention, and the humans carried the policy forward by not agreeing to remove it when the Tywom asked. This resulted in a massive hit to relations at a very dangerous time. The humans needed friends, and now they had lost their best friend. The resulting scandal nearly brought down the administration. The humans had only survived the war with the Altarians thanks to the Tywom. The humans began a swift deconstruction of their starbases that were in Tywom space. It was no wonder that the Tywom were so angry, since the Onyx, who were master spies, had installed several of them deep within Tywom territory. The question was, would this be enough to rebuild the relationship? By December, tensions had cooled. The humans had removed all but the Durantium starbase, which was badly needed as it was the humans only source of Durantium. But the others, and there were several, were now gone and relations eased. The Tywom and the Altarians renewed their war soon after. The Hypergate network would also act as a hub for sending out the new "Peeping Toms" to track the progress of the Tywom-Altarian world. 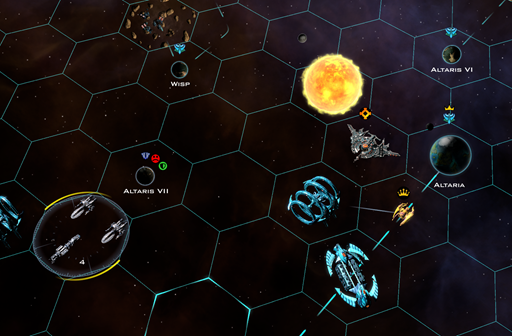 The fate of the Terran Alliance likely rested with the victor. 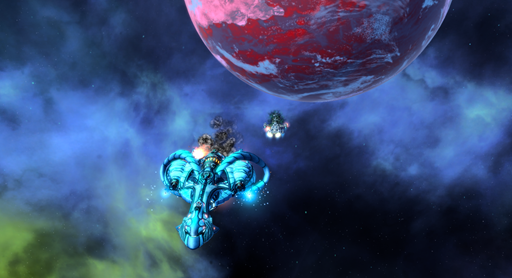 While the military had dreams of dominance, the reality is, the Tywom are humanity's best hope for survival. And, they are not very good at war despite their paper-strength. The diplomatic core, meanwhile, had done a good job repairing relations with the Tywom. 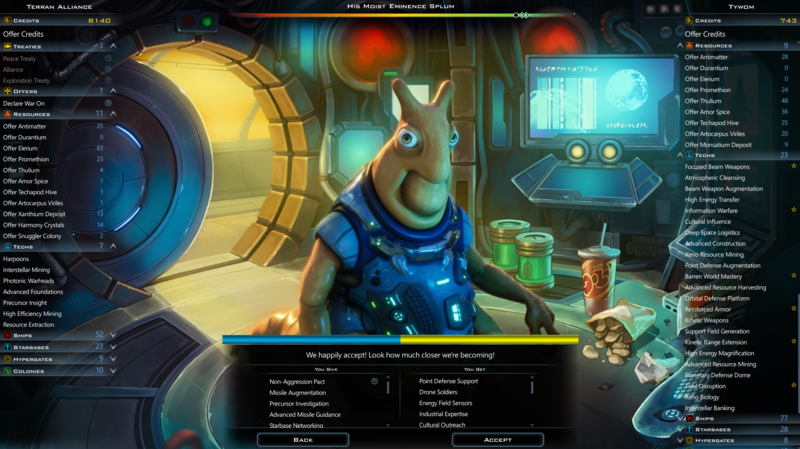 The Christmas 2245 Trade deal included a non-aggression pact. This would anger the Altarians but would, we hope, lead to an eventual alliance with the Tywom. 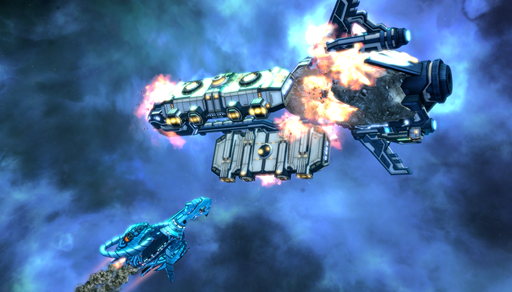 The Terran Alliance had reverse-engineered the massive ships that the Altarians had constructed in the last war. 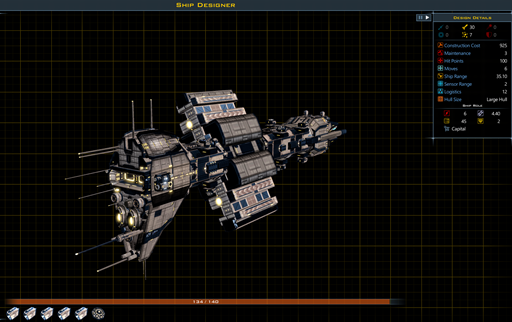 Using the hull design (downloaded from Steam Workshop), it is equipped with Photonic Warhead and ECM defenses. 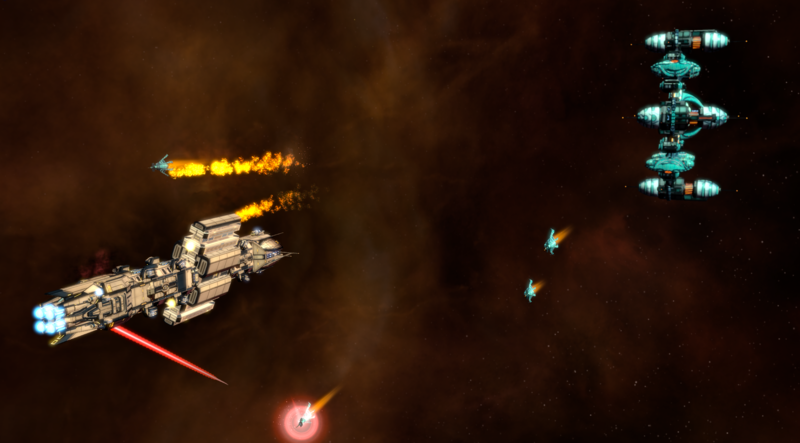 In theory, it should be able to put up a fight against anything out there. 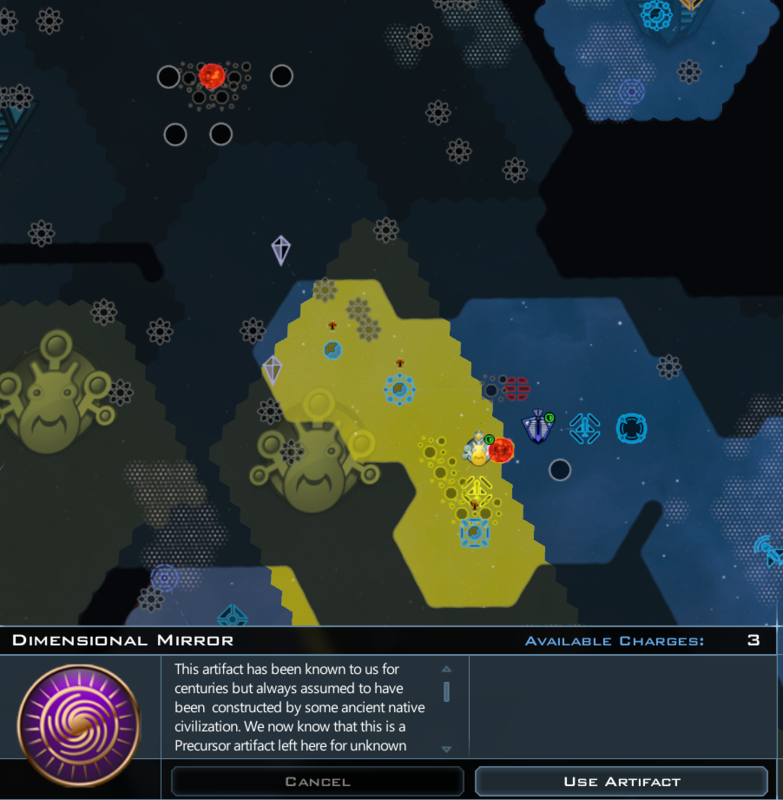 The Altarian spy network noticed the human work on the stolen tech and responded. Could they handle the Terran Alliance, now armed with Omegas, along with the powerful but somewhat clueless Tywom? While the Omegas were being deployed, the Star Vikings, the previous state-of-the-art ships, would have to hold the line. While human technology had improved, it was still far inferior to the Altarians. Their elegant frigates could take out entire fleets of human ships. What the humans did have was desperation. The mothballed Onyx ships, being all that was left, were employed. The inventory of Onyx ships was limited but they were still more advanced than anything the humans had. 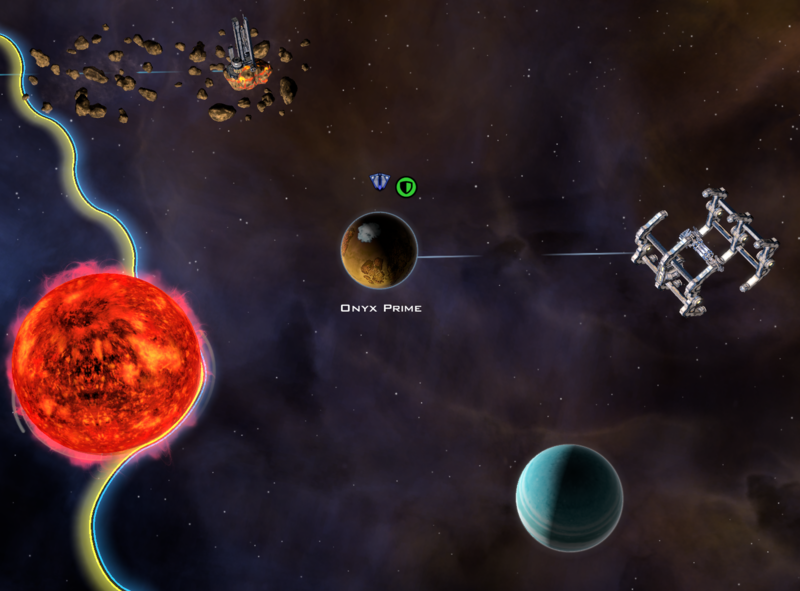 The real winners were the Korx...as usual. 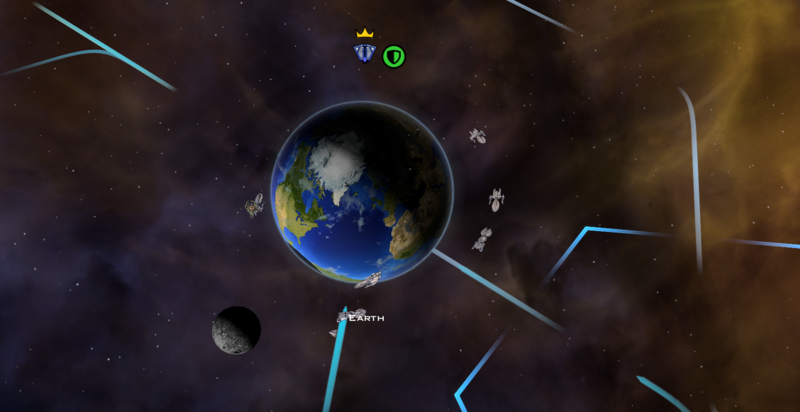 The Korx were happy to supply the anti-matter the humans needed. 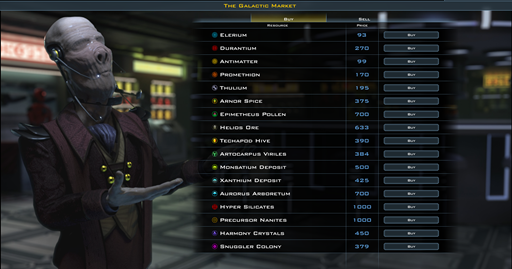 It would bankrupt the Terran Alliance, but they had little other choice. 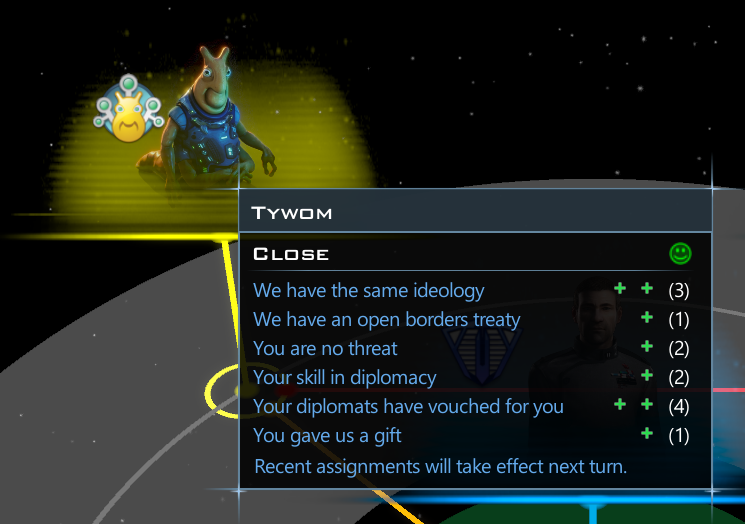 The Altarian declaration of war on the humans was enough to convince the leaders of both the Tywom and the Terran Alliance that the time for a permanent alliance was needed. The Altarians simply were too aggressive to be allowed to continue. 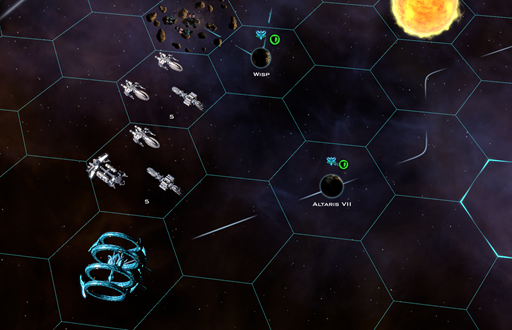 Two Terran fleets, each with an Omega, arrived in the home Altarian star system. 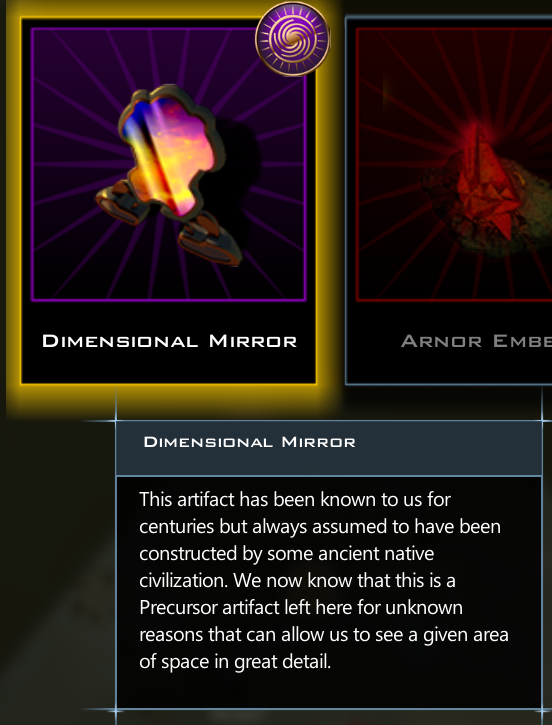 Their weapons magnified by Arnorian Embers (artifact) to give them a bit more fighting power against the superior technology of the Altarians. Their military might had been devastated by the Tywom already, but their planets were filled with legions of defenders making the worlds difficult to conquer. Even after conquest, pacifying would be an issue. How to prevent the native from revolting? The answer: ARTIFACTS. What the Omegas lacked in technical excellence, they made up for with lots and lots of nukes. However, whenever the odds were remotely even, the Altarians carried the day easily. For the moment, the humans and Altarians slugged it out. The Tywom even made peace with the Altarians, which resulted in some frustration in the Senate as the Tywom were aggressively picking up Ascension crystals that became available because of the Altarian starbase losses. The military, however, was unconcerned. The Tywom had annihilated most of the Altarian military, and the Terran fleets, while inferior in technology, were slowly pushing the Altarians back through brute force. Thanks for another interesting journal! Love the sneak peaks! Finally got a chance to sit down and read through all 4 and I can't wait for the next! These journals get me really excited for the new expansion! 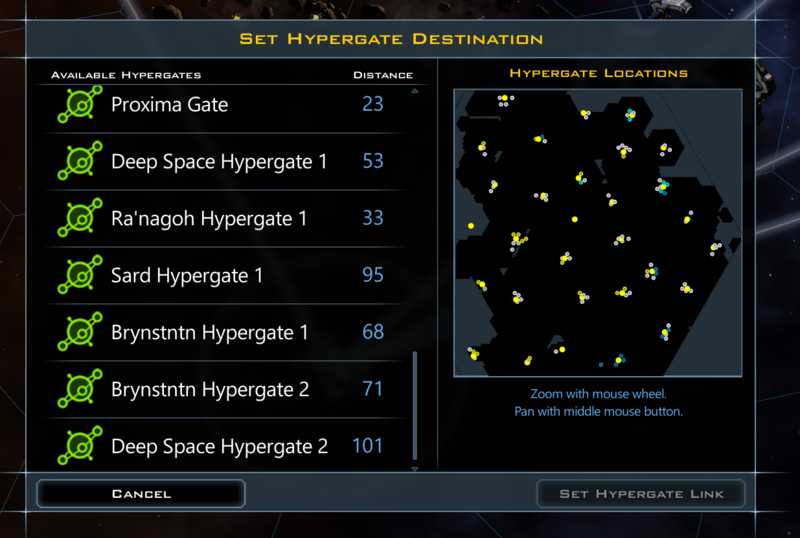 Hypergates. Do I understand that I can simply connect (for example) from my next-to-Earth hypergate to as many other hypergates as I wish? I thought (there's that word) that once you built a hypergate you can only connect it to one other gate, but as many gates as desired can be connected to the one you just built. Sorry if I'm being dense, I just got that impression from an earlier journal. Also, the diplomacy screen that shows relationships with one other race (link to your image below). Did you happen to mention before what the white numbers in parentheses are, the ones next to the pluses or minuses? If you did, I might have had a senior moment and missed it. Would you please explain what those are? And one more thing. Is there any, any chance of there being a fully updated manual that carries us up through Retribution? I'm exceedingly old school and love to print out and study manuals. I used to be a tech writer/operations engineer so I know how much effort it takes to produce a comprehensive manual that is fully reviewed and edited. I wouldn't even mind being charged a bit more for this DLC if it means a fully fleshed out, up to date manual. Would you please explain what those are? Diplomacy modifiers, actually getting shown rather than been hidden like they have for the last 4 years (Makes the UI look horrid btw), no need for the + and -, just colored numbers. I wouldn't even mind being charged a bit more for this DLC if it means a fully fleshed out, up to date manual. They updated the manual like a few weeks back, no reason to think it will not be upgraded for new expansion. Well, color me embarrassed . I didn't think to check the game folder to see what was the latest version of the manual. Thank you for pointing this out. I keep getting this game confused with Crusader Kings II where the different DLC have different PDF update guides. Ah, the joys of being old!